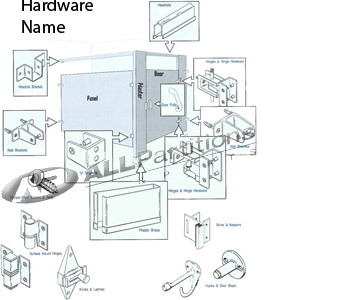 Click here to go to another type of hardware. Bright chrome. 3-1/2" between hole centers. 3" high and 5 1/2" long. Select finish: Part number A0625 for cast stainless steel with brushed/satin finish or part number A0625B for chrome plated brass with bright/polished finish. 2 3/4" between screw holes. Cast stainless steel. 3 1/2" between screw holes. Cast stainless steel.